Charlie Vergos’ Rendezvous, Memphis TN – Marie, Let's Eat! Would you believe that this trip to Memphis wasn’t originally going to include a visit to a new-to-us barbecue place? Well, that just wouldn’t do. This trip to Memphis was going to be a relatively short one. Marie’s sister was getting married, and the schedule was pretty packed with family time. So we rolled into town just before eleven on Saturday morning, and pulled into Payne’s Bar-B-Q for lunch, figuring this would be our only Memphis barbecue spot of the trip. 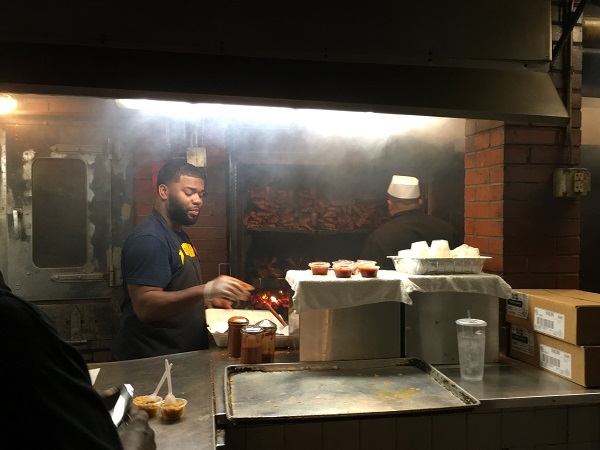 The eagle-eyed among you may have noticed that we haven’t written about any barbecue places in a long time. To be honest, funds are too tight and morale is too low to keep knocking our heads against the walls in east Tennessee. Ah, 2016, you held such promise. I really am disillusioned. I spent so many years driving around Georgia and finding not only new-to-me, but new-to-anybody-who-blogs little barbecue joints in small, tucked away towns, and enjoyed so many meals and so many experiences. And Tennessee just isn’t like that. About 50% of it is geography. I looked at flat maps and saw gargantuan holes between places where anybody has ever written about a barbecue place, and figured, like every possible county road in north or middle Georgia, that there are restaurants hiding away that nobody’s ever written about before. Then I got out on those county roads and learned that there’s nothing whatsoever hidden away on those highways because they’re mountains and ridges and nobody lives on them. Finally, to be honest, I’d really rather not eat meat anymore unless it’s better than just good. 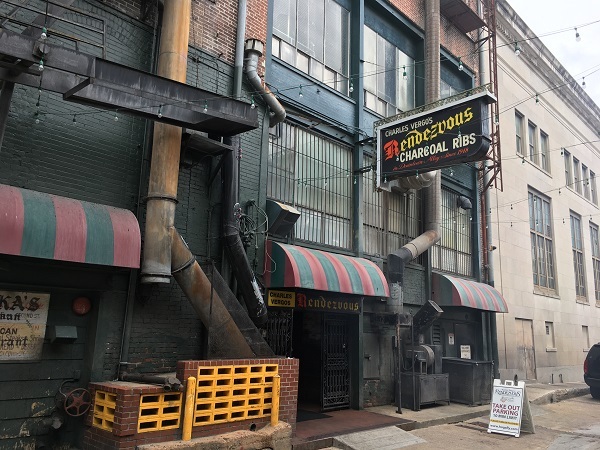 If you’d like to join me in Chattanooga for some barbecue, we’ll go to the outliers, the only places around here to do things differently than the mob. 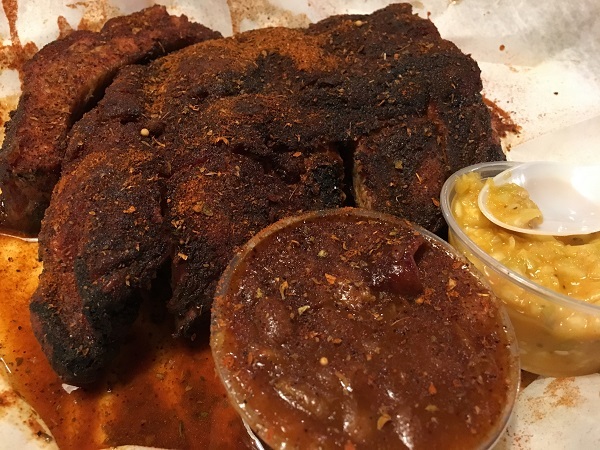 We’ll bring back some ribs from Old Plantation and cover them with their slightly thinner and lighter sauce, and then go to Couch’s for a one-of-a-kind deli-sliced pork sandwich with hot slaw. When we get to Hickory Pit, I’ll have a salad. Or I’ll have a burger somewhere. Plenty of places in Chattanooga make fabulous burgers. I want fabulous, not good. So, back to Memphis, and we learned that the rumors were true, and Tops does indeed serve a fabulous burger. Our son still refuses to eat barbecue – and who can blame him, with me pacing the floor complaining about it all the time – and so while Marie and I enjoyed the visit to Payne’s, and I broke the fast of about seven weeks with no barbecue with two of the best damned sandwiches on the planet, tears in my eyes and a smile on my face, he twiddled his thumbs in skepticism. I’d told him that I’d read that Tops made great cheeseburgers (we’d considered the possibility before), and so we stopped by their location on Union and confirmed it. I had a small bite and was impressed. He’s been complaining since we got back that there isn’t a Tops in Chattanooga. In fact, he didn’t eat anything at my sister-in-law’s wedding, because they had a vegetarian Indian buffet, and he simply wasn’t going to try cauliflower curry or saag paneer. So I had Marie drop me at the downtown Dyer’s and walked back to our hotel with a couple of burgers. Everybody knows Dyer’s. They’re legendary. Our son preferred Tops. Do you realize how many of our troubles would be solved by Tops opening a branch in this city? So I set out intending to just walk around for ninety minutes, and then almost immediately saw a street sign that said Charlie Vergos’ Rendezvous Alley. Exercise would wait. I found a snack. The Rendezvous opened in 1948 and moved to its present location twenty years later. Charlie Vergos had been serving various smoked meats since he opened, but it wasn’t really a “barbecue joint” like we’d identify it in the modern day. He just smoked hams, mainly, using an old coal chute as a vent, and served sandwiches and beer. Ribs came to his menu around 1957. Vergos gave them a paprika-heavy spice rub and served them dry, inventing the style that causes a little good-natured debate from time to time. Other places in town, like the mighty Leonard’s, began adapting their menu to follow Vergos, who also seems to have popularized mustard slaw. So because I really enjoy both, I tend to think of this style as quintessentially Memphis: dry ribs and mustard slaw. But that’s not necessarily true. About three years ago, I asked Melissa Cookston, the winningest woman in barbecue, about it, and she thinks Memphis ribs should be wet, and the slaw made with mayo. She sees a distinction between “Memphis style” and “Rendezvous style.” If that’s the case, then so do I. Rendezvous style is better. And it was a pleasure to finally sample the original. Downtown parking is a little pricy, so plan accordingly, and do some shopping, hear some blues, have some beer, marvel at A. Schwab’s, and get on one side of the Tops-Dyer’s debate for your parking dollar. And definitely climb down the stairs for some dry ribs. While time and tourism have broadened the customer base at the Rendezvous, you must remember that this place was born a bar and it hasn’t changed much. It’s a dark, underground space with rooms and tables in hidden alcoves. The layout reminded me of Manuel’s Tavern in Atlanta. I sat at the bar, and got some downright first class service from one of the small army of men in white shirts and black bowties, many of whom have worked here for decades. I thought the ribs, beans, and slaw were completely delicious. The meat is grilled over charcoal, and nobody has to wait very long for it. This place is all about high volume, but the food is just great. I absolutely loved the slaw, which was so tangy, and the spicy, messy meat had really good pull. This isn’t that “fall off the bone” garbage. So no, this wasn’t a trip to eat many new things in Memphis, but we did have two Payne’s sandwiches, a plate of ribs, a healthy debate about cheeseburgers, and two excellent vegetarian meals, so it was certainly a good one. Plus, after our first really good night’s sleep, Marie and I did get that exercise and ninety-odd minute walk around the downtown blocks Sunday morning, so we walked off a little of that snack. Posted on March 21, 2018 March 21, 2018 by Grant G.Posted in barbecue, memphis, tennesseeTagged barbecue, memphis, tennessee. Great post – thanks! I’m out here in Northern California, so the food you write about is exotic to me. I hope you’ll keep posting. I really enjoy your thoughtful, lightly humorous voice.